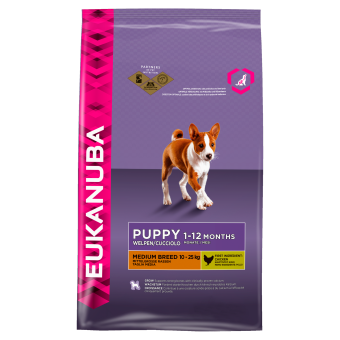 A complete pet food for medium breed puppies. Optimal protein and fat level for weight gain and bone development. supports increased energy needs during critical growth period.